Today on the blog we are covering 25 blog topics you can use to get your creative juices flowing and your prospective clients engaged on your site. 5 Must have photos on wedding day. Top 5 places to travel for your honeymoon. 5 items you must pack for your honeymoon. Duties of the Maid of Honor. How to plan your honeymoon. Budget Planning, who pays for what? Top 3 color combos for a Spring wedding. Top 3 color combos for a Winter wedding. Top 3 color combos for a Summer wedding. Top 3 color combos for a Fall wedding. How to plan a rehearsal dinner. The pros of an unplugged wedding. How to save money on wedding flowers. Need to know information when getting married in (your city). Favorite places for engagement photos. 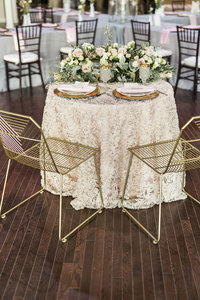 How to incorporate vintage rentals into your wedding day. How to prepare your wedding party for wedding portraits. What to include in your wedding day emergency kit. Are themed weddings still a trend. Top 5 venues in your area. Color trends for 2018/2019 weddings. Flower trends for 2018/2019 weddings. 3 ways to save your wedding day memories. Tips and Tricks for writing wedding vows. Feature another creative: Guest Blog. I hope these topics are able to spark some creativity and give your visitors some fresh content to read. If you used some of these topics already I’d love to read what you’ve written! Be sure to return soon for more content for wedding creatives.